It’s a well-known fact that children love to run and play. The cold, dark days of winter have a tendency to put a damper on that type of activity. Many times children are stuck in the house due to cold, winter weather. For those who are home with the children, this type of cabin fever can be frustrating. Our children have a lot of energy and that needs to be focused properly for everyone to get along. Entertaining a child in the house requires creativity and understanding, especially if you have a child with special needs. While children are off for the holidays, winter break from school or just in the house during cold weather months, it’s a good idea to keep their minds occupied with something other than television when stuck in the house due to inclement weather. Maybe it is smart or a little bit sneaky, but activities that actually have a small educational or developmental component can keep their minds sharp. For instance, children that may need sensory stimulation or basic cognitive rehabilitation can benefit from a Sensory Stimulation Activities Kit . With an abundance of activities to occupy a child’s mind, this can be fun and developmentally rewarding. A fun way to keep developmental exercises engaging is with a Writing and Activities Table. 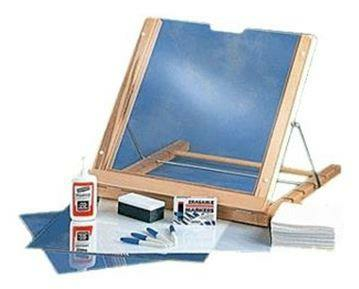 Children love to draw and scribble and this can be essential for speech and creative play activities. When bad weather hits it’s time for children to be creative!! Many toys are specifically designed to help children (especially those with special needs) learn different skills. A learning toy can help with a wide variety of developmental skills such as visual tracking, sensory issues, or even increasing visual attention. A musical toy or musical instruments can turn for children into a marching band. The key is making it fun!! A great way to engage children of all ages is through games. Many of these can even be played inside the home. Try starting a balance game or maybe a toss game to keep children focused and develop motor skills. How about trying an indoor golf putting game ? Have a tournament with all the kids!! Not only are games fun and potentially educational or developmental, but they can help children develop important social skills for everyday interaction. An indoor balance beam can turn a cold, dreary winter day into a gymnastics activity. Many children enjoy the challenge of putting together a puzzle. This helps develop spatial recognition as well as possible problem-solving by figuring out missing pieces. Who knew learning was this much fun? Who doesn’t enjoy a relaxing game of cards ? Make a circle out of adjustable seats and any game can be fun and educational. One of the features of winter air is the lack of moisture. This can make our skin dry and itchy and can lead to an irritated and sore throat. We should always try to hydrate a little more in the winter since our bodies require it more, but keeping children properly hydrated can be a challenge. 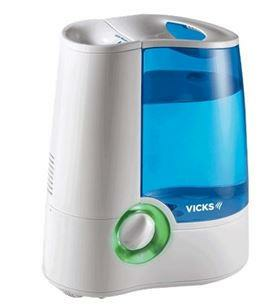 To avoid a potential sore throat we can utilize a humidifier in our kid’s rooms. These vaporize water into the air creating a more humid, moist environment. You can utilize either a cool mist or a warm mist version depending on preference. Some are even available with aroma oil or compartments for liquid inhalants options!! Relieving sore throats and congestion due to a cold can go a long way to a good night’s sleep for your children (and you!!). An inhalant pad can release soothing aromatic vapors such as menthol, eucalyptus, and other essential oils to loosen any chest congestion with natural ingredients. The days are short during winter and caring for our children in our homes can be trying. Cabin fever can set in quite quickly and make you long for the warm days of spring and summer when our children can enjoy the great outdoors. Be creative and stimulate your children and their friends! !